The Journal of Research on Libraries and Young Adults (JRLYA), the official research journal of the Young Adult Library Services Association (YALSA), is an open-access, peer-reviewed journal located at: http://www.yalsa.ala.org/jrlya. The purpose of JRLYA is to enhance the development of theory, research, and practice to support young adult library services. JRLYA publishes original research concerning the informational and developmental needs of adolescents; the management, implementation, and evaluation of young adult library services; and other critical issues relevant to librarians who work with this population. YALSA is currently seeking content that helps to advance one or more areas in its Research Agenda: http://www.ala.org/yalsa/guidelines/research/researchagenda. Journal of Research on Libraries and Young Adults invites manuscripts based on original qualitative, quantitative, synthetic, or mixed method research; an innovative conceptual framework; or a substantial literature review that opens new areas of inquiry and investigation. Case studies and works of literary analysis are also welcome. The journal’s editorial board recognizes the contributions that other disciplines make to expanding and enriching theory, research, and practice in young adult library services and encourages submissions from researchers, students, and practitioners in all fields. JRLYA is on a continuous publishing cycle, and manuscripts are accepted year round. Author guidelines are located at: http://www.yalsa.ala.org/jrlya/author-guidelines. Contact Editor Denise Agosto at dea22@drexel.edu to discuss submissions and author guidelines. All completed manuscripts should be submitted as email attachments to yalsaresearch@gmail.com. 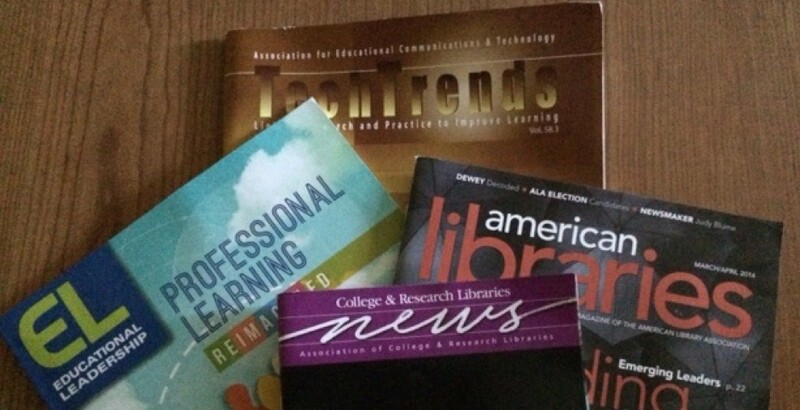 This entry was posted in Academic Libraries, Information Literacy, Information Science, Instructional Design and Technology, K-12, Libraries, School Libraries and tagged Journals, Publishing. Bookmark the permalink.